Wonderful views from this mid century home set on a oversized street to street lot. Dramatic great room with fireplace, hardwood floors, skylights, walkout terraces, soaring ceilings and walls of glass. The kitchen is remodeled with stainless steel appliances. Entered from an exterior gated courtyard this home is very private and filled with light. Master bedroom on main floor and remodeled bathroom. Downstairs are 2 spacious bedrooms, a separate laundry area with extra storage. The lower level bathroom is also remodeled. Large fenced garden accessed from one of the bedrooms. Back of lot fronts on Diamond Street in Glen Park. 12 Minute walk to Glen Park Village and Bart. 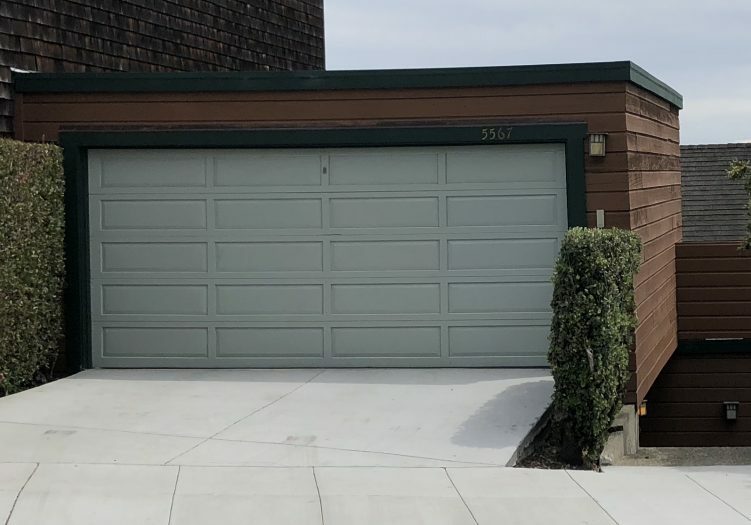 2 car side by side garage has frontage on Diamond Heights Blvd. Great location!